Morris, Minnesota — Superior Industries Inc., a U.S. based manufacturer and global supplier of bulk material processing and handling systems, says it’s ready to debut two new tracked conveyor models. 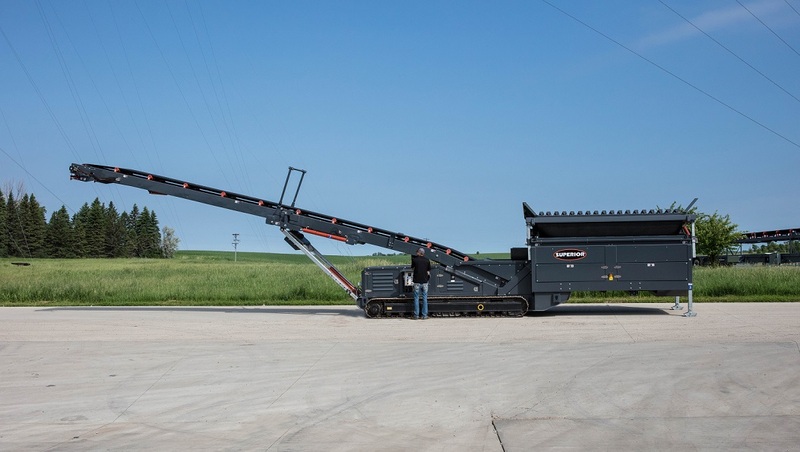 Joining the manufacturer’s top-selling line of portable conveying solutions are a 75-foot (23m) tracked stacker and an 8-by-16-foot (2.4 x 4.9m) tracked feed hopper. Following Superior’s reputation for heavy-duty designs, the tracked stacker will be one of the heaviest models available in its class at 34,000 pounds (15,420 kg). Each stacker is capable of handing up to 1,000 TPH (907 MTPH), while hydraulic power controls the tracks, folds, and discharge height. Cross-bracing designed and built into the undercarriage of the tracked stacker ensures structural rigidity and stable track travel. 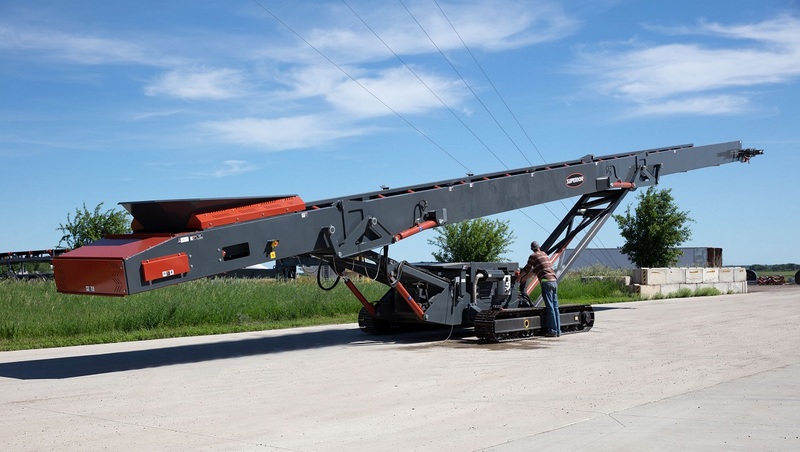 The 8×16 tracked portable feed hopper processes up to 800 TPH (725 MTPH) from an 8-cubic-yard, reinforced hopper. A bi-directionally dumping grizzly is equipped with adjustable grizzly bars and can be tilted at one of five preset angles. The hopper’s drive and backstop are hydraulically-controlled in addition to the discharge conveyor’s fold and raise features.